The B126-1A0-WP-1 is a receiver unit that is used with the B126-002 and B126-004 transmitter units. 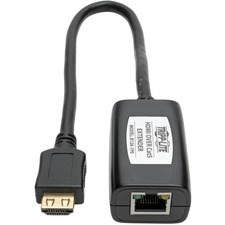 It extends a 1080p (60Hz) signal to a monitor up to 150 ft. away using Cat5e/6 cable. To achieve maximum distance and resolution, use 24Awg Solid Wire Cat5e/6 cable. 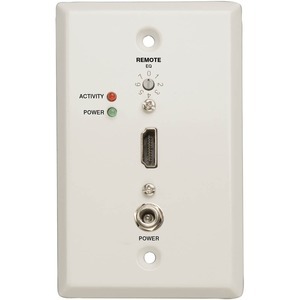 (Tripp Lite's N202-Series) It features a built-in Equalization control for adjustment of the video image, and RJ45 jacks for easy connection with Cat5e/6 patch cable. Supports 24-bit True Color (8-bits per channel), HDCP, 3D, and both stereo audio and 7.1 channel surround sound audio (7.1 channel surround sound signal will be Multi-Channel or PCM).Installation is simple. Connect the transmitter unit to an HDMI source using a Tripp Lite P568-Series HDMI cable (not included). Connect the receiver unit to a display using a Tripp Lite P568-Series HDMI cable (not included). Finally, connect the receiver to the RJ45 port on the transmitter using a single Cat5e/6 cable. 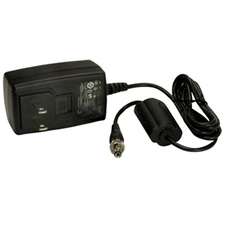 The B126-1A0-WP-1 is TAA GSA Compliant.